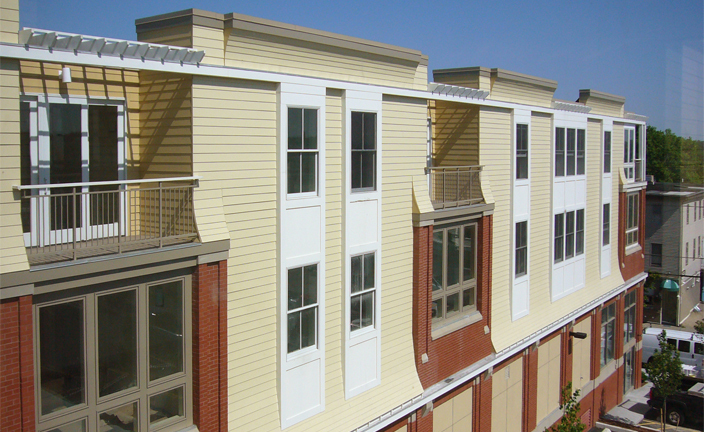 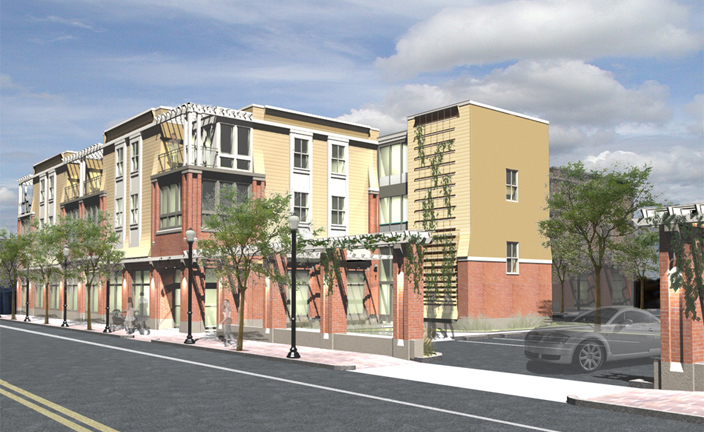 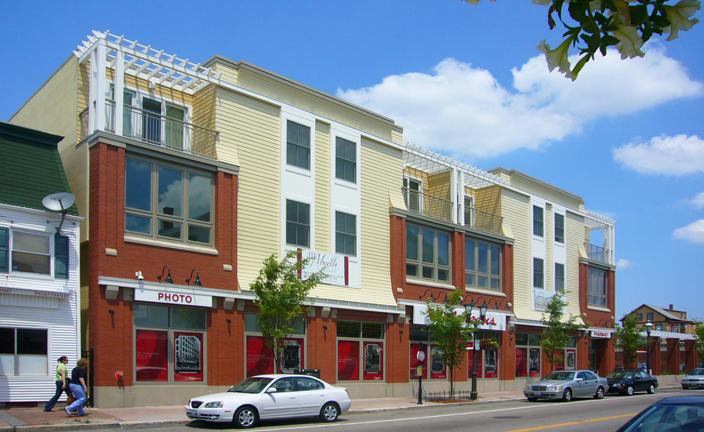 Mixed-use residential and commercial building in the heart of the Federal Hill neighborhood. 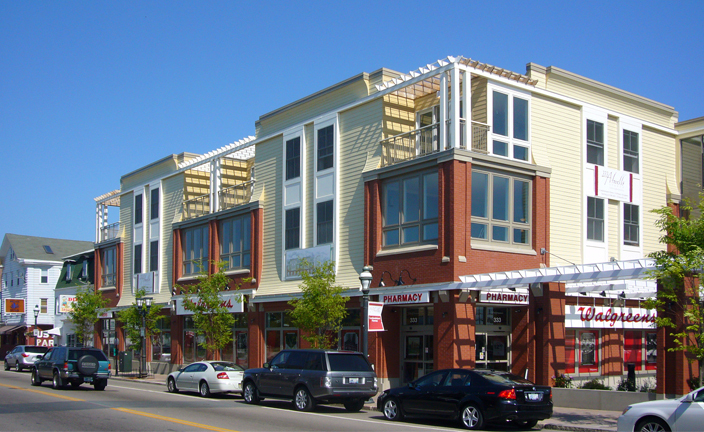 The scale and massing is sympathetic to the character of the neighborhood, and the modern detailing is enlivened with parapets, window bays, siding flares, and richly detailed brickwork. 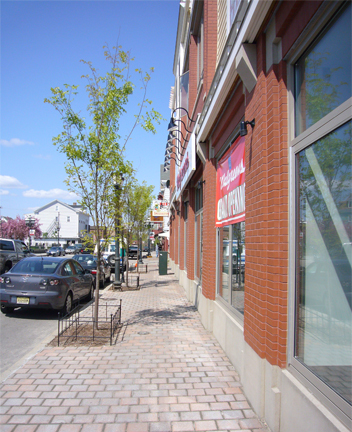 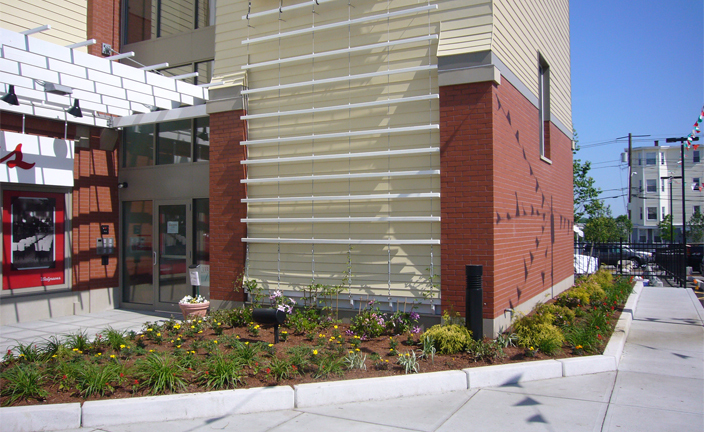 The project rejuvenates this important urban site with a more balanced mix of commercial and residential uses.